The mission of the Williams College Investment Pool is to contribute financial support to both the present and future needs of the college as well as to provide sufficient liquidity to meet such needs on a timely basis. Williams’ overall objective is to achieve the highest level of investment performance that is compatible with its risk tolerance and prudent investment practices. 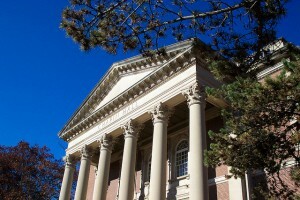 Williams’ risk tolerance is informed by the degree to which the college relies on the Investment Pool to support its operations. A high degree of reliance may suggest a policy portfolio with reduced expected volatility which may, in turn, moderate the long-term expected return. Williams’ policy portfolio, and long-term returns, may therefore look different from those of other schools. Williams maintains a long-term perspective in formulating and implementing its investment policies and in evaluating its investment performance. Investment performance is measured by two integrated long-term objectives: 1) the stated return objective and 2) the investment policy portfolio benchmark. 1. The stated return objective is a 5% annualized real return, defined as 5% plus the return of the CPI-U Index (Consumer Price Index for All Urban Consumers). 2. The investment policy portfolio benchmark is calculated by applying the investment performance of each asset class benchmark to the target allocation for that asset class. The investment policy portfolio benchmark allows the Investment Committee to compare the actual performance to a passively managed proxy, and to measure the contribution of active investment management and policy implementation. The Policy Portfolio is the target asset allocation of the portfolio; it represents the Investment Committee’s view on what percentage of the Investment Pool should be invested in each asset class (e.g. equities, fixed income, and cash). As such, the Policy Portfolio embodies an optimal mix of the Investment Committee’s long-term view of market opportunities, including long-term expectations for investment returns and risks for each asset class. Ultimately, how we allocate the assets is the single largest driver of investment performance. We compare our actual investment results (for each manager, each asset class, and the total Investment Pool) to benchmarks. The benchmarks are typically market indices, such as the S&P 500, and they serve as “yard sticks” to measure performance. We compare the investment performance of the total Investment Pool to the Policy Portfolio Benchmark. The Policy Portfolio Benchmark is calculated by applying the investment performance of each asset class benchmark to the policy weight for that asset class (e.g. 26% to Global Long Equities). The Policy Portfolio Benchmark permits the Investment Committee to compare the actual performance of the Investment Pool to a passively managed alternative, and to help assess the contribution of active investment management and the effectiveness of policy implementation. Annually, the Investment Committee and the Investment Office review asset allocation to establish the Policy Portfolio, including rebalancing ranges and benchmarks. Our asset allocation is disclosed in our annual Investment Report. The path to selecting a manager for the portfolio can take many shapes. Whether we source a manager through a dedicated search, due diligence travel, or the Williams network, certain steps are key to every due diligence process. A combination of quantitative and qualitative analysis drives the process. Through calls and in-person meetings, the Investment Office team becomes familiar with a prospective manager’s strategy and also with the people implementing it. Getting to know the investment manager’s team and conducting reference checks is critical for us to gain conviction around an investment. Careful quantitative analysis and internal discussions at the Investment Office provide context for the entire process and guide areas of research and questioning. If the Investment Office continues to find an investment of interest, we conduct operational due diligence to further understand the manager’s key service providers, trading and brokerage operations, operations and administration, compliance environment, and technology administration. When the Investment Office has conviction surrounding an investment opportunity, the team seeks advice from the appropriate Advisory Committee and then makes a formal recommendation to the Investment Committee. Upon approval from the Investment Committee, the Investment Office will add the manager to the portfolio. Adding a manager to the portfolio is far from the end of the story. Monitoring current investments is equally important to sourcing new ones. The Investment Office team participates in regular calls and site visits (in-person meetings at the manager’s office) with each active manager in the portfolio. Through these interactions, we can evaluate manager performance as compared to our original thesis for making the investment. Questions we ask ourselves include: Is the manager following the strategy initially articulated? Is performance in line with what we expected? Is there an inappropriate amount of manager team turnover? How are macroeconomic factors affecting this manager’s strategy? Manager interactions and independent analysis help us track manager progress and evaluate the portfolio as a whole. The Investment Office’s location in Boston is no accident. We’re close enough to the college to stay in constant contact through committees, recruiting, and other means, but we’re also in the heart of a vibrant investment community. Many of our managers have offices within walking distance, and peer schools’ investment offices are just around the corner as well (e.g. Dartmouth, Harvard, MIT, Tufts, and Wellesley).